We’d love your help. 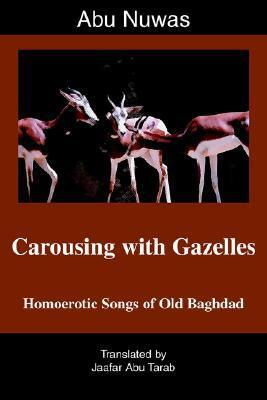 Let us know what’s wrong with this preview of Carousing with Gazelles by Jaafar Abu Tarab. To ask other readers questions about Carousing with Gazelles, please sign up. A very small set of verse translations, with prose translations and a very small amount of critical context. Explicitly sexual in a way I, at least, didn't expect from 8C Arabic poetry. The poems are interesting, especially in context with, say, Hafez, but I feel like I need to do more comparison with other translations (mostly not in English) to tell what's Abu Nuwas, the poet, and what is Abu Tarab, the translator.